The workshop brought together almost entire journalistic fraternity, 99% of editors and chief reporters from the nine newspapers, five radio stations and TV. 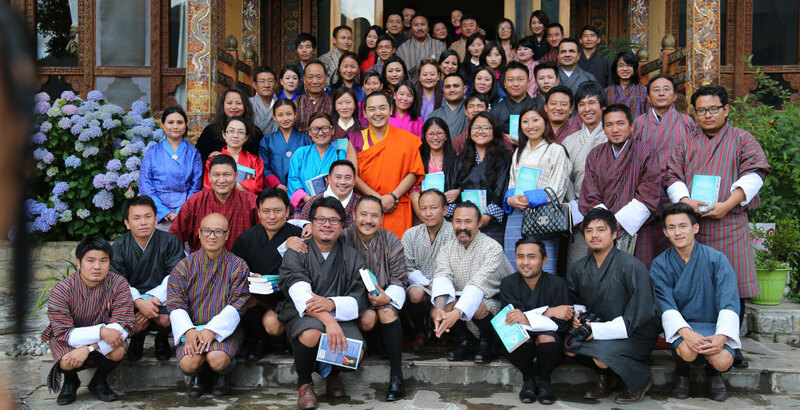 They deliberated and shared their experiences, discussed the past and present state of the Bhutanese media and media ethics and its effect on Bhutan and the Bhutanese. The programme “Open Conversation on Journalism and News Ethics in the Digital Era” was intended to candidly discuss and critically examine issues and perspectives related to the current practice of journalism and answer the basic questions of how journalism and journalists work at an individual, cultural, and institutional level and, more importantly, how they interact to affect the moral compass of journalists and the moral standing of the practice as a whole. The second day was a candid talk by His Eminence Gyalwang Dokhampa on wisdom of the Buddhist approach to journalism, mindful journalism and the relationship between Buddhist concept of Truth seeking and ethical reporting. A total of 82 media professionals attended the workshop (49 male and 33 female).